Whoelsale Lookbook is an online information site where all visitors can find the latest inspring fashion trend wholesale items. Morever, all visitors can share there own ideas in regards to the fashion trends. Wholesale Lookbook does not require visitors to register but all visitors may keep in touch by "Like"ing our Facebook page or follow up with our daily updates on wholesalelookbook.com. The purpose of this marketing is to increase the traffic to the website. We currently have over 24,000 likes on Facebook and our Lookbook is connected with various social networks including Twitter, Google Plus, and Pinterest. Each posts we upload everyday is directly linked to the vendor's site. 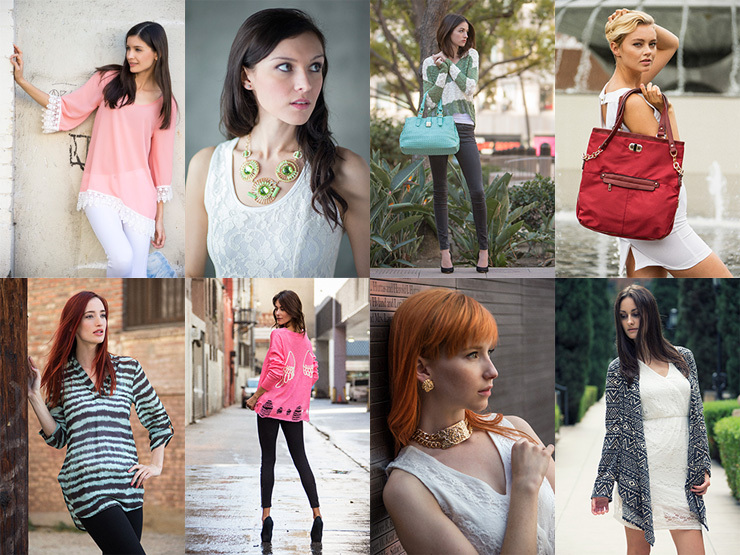 Photo shoot takes place every week with multiple styles our vendors request us to shoot. Each style costs $25.00 for our wholesale lookbook members. If you are not one of our wholesale lookbook members but would like a model picture for your styles, it will cost $75.00 per style. Please note that only website that is hosted by Fashion Member is allowed to join Wholesale Lookbook for photo uploads. Contact us for further information.